One of the things that I like the most about writing here at Genuine Glow is that I often get the opportunity to interact with beauty professionals that I admire. 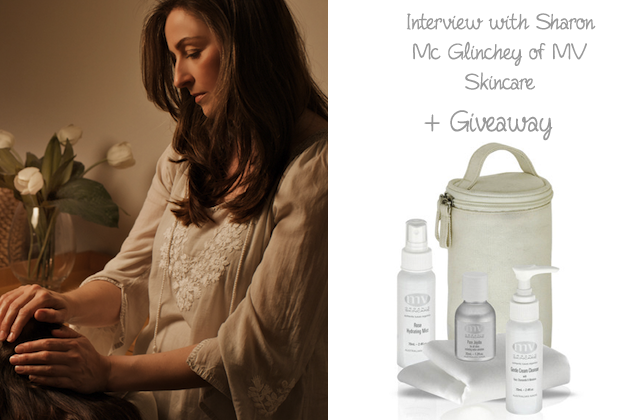 I was very excited to interview Sharon McGlinchey because I have been loving the MV Skincare line for months because of the amazing results with my skin. The formulations are simple, but luxurious and effective. They also work particularly well for my skin, which easily reacts to most products that I test. I discovered the line thanks to a tweet by RMS Beauty that mentioned the MV Skincare Rose Water as their favorite “pick me up” treatment to hydrate the skin. If RMS Beauty recommends something, we need to at least check it out, am I right? I found out that MV Skincare suits many skin types, even especially the most sensitive and troubled ones (like mine). I hope that you will enjoy the information & tips that Sharon shared with us. Make sure to enter the giveaway at the end of the interview! Lilly: Were you always interested in holistic practices or was there a turning point for you when you felt that you had to search for alternative ways to treat/heal your client’s skin? 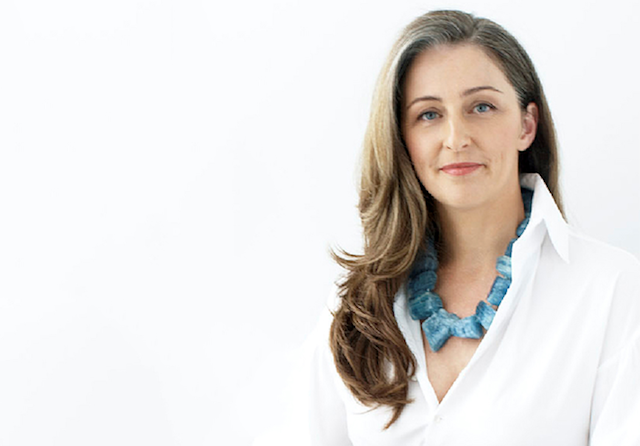 Sharon: I was working holistically and with mindfulness even while I was training at beauty college in the early 90’s. I remember very clearly being asked by the college principle not to massage my clients scalp while waiting for an eye lash tint to develop as this was not normal practice. I explained how vulnerable I personally felt with tint on my lashes and how much more comforting it is for a therapist to a) stay with their client and b) do something nice to take their mind off the process. Regardless of my thoughts on the subject, I was told not to repeat this while attending the college. 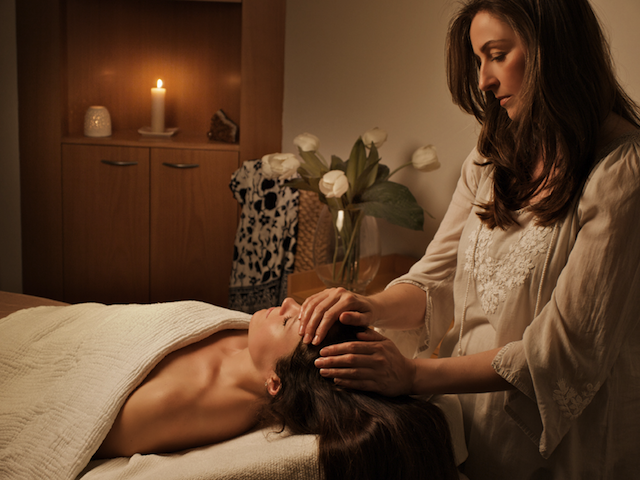 Let’s talk about the MV Radiance Therapy, your signature treatment. What is it, and what benefits can people expect after receiving it? I wanted to create the kind of treatment I would have loved someone to give me so, over a 6 month period, I modified the classic facial from my training and MV Radiance Therapy was born. A long time ago a beauty editor described my signature treatment as a total skin and body healing experience and that phrase stuck because it’s really the most accurate and succinct way of describing it. It’s really so much more than a facial. Do you think that a person’s lifestyle influences the way that his/her skin looks? If so, which lifestyle habits do you think are the most damaging to the skin and should be limited or completely avoided? Absolutley. The obvious lifestyle choices such as excessive alcohol consumption, smoking, taking drugs and eating too many processed foods. Additionally, not getting enough quality sleep and having a lot of stress in your life can impact on how your skin looks. Would you share a few of the skincare tips that you believe are the most important to have great skin? Cleanse really well – that means using a cream cleanser (not a foaming cleanser) and removing with a warm to hot face washer or muslin cloth. Use good quality plant oils, preferably organic and with the addition of essential oils, at night instead of a moisturizing cream. Moisturisers are, I believe, protective so are well suited to day time use when we need protection from dehydration and pollution, also from the make-up and sun cream we wear. At night we need to give the skin a rest from a cream with an emulsifying wax and treat it instead with organic plant oils that have a natural affinity with the skin and deliver health benefits. And my last funny little skin tip is to smile a lot. As we age gravity takes hold – that’s inevitable – but smiling can take years off you. Which ingredients in MV Skincare products are the most healing to the skin? Also, which ingredients do you think should be avoided in skincare, especially by people with sensitive skin? The most healing ingredients in the MV range are Calendula, Carrot, and Jojoba oils and the essential oils of Chamomile, Carrot Seed, Lavender, and Benzoin resin. From my experience, the most common irritants in many of todays skincare lines that sensitive skin types have issues with are fruit acids. There are many forms including glycolic, lactic, malic, and salicylic and the mini trauma these acids cause on a daily basis can lead to long term and often quite chronic sensitivity. Which products of your line do you think are a “must-try”? The cream cleanser – it’s lush, the Pure Jojoba as it’s the ultimate multi-tasker, the Rose Soothing & Protective Moisturiser and it’s a ‘can’t live without’ cream for so many people and my personal favourite for travelling and as an instant pick-me-up – the 9 Oil Skin Tonic. When browsing your website it is impossible not to notice that you have some hard-core celebrity fans, who happen to have amazing skin (Emma Watson, Rosie H-Whiteley, and more..). What is so unique and special about your products that celebrities love? In a nut shell – results! High profile people have access to every high end skincare product on the market and they choose MV because it delivers on its promises. The concentration of such high quality ingredients results in a highly effective product and the added bonus for many of them is that MV is super-healthy and is good for the environment too. Is there any chance that people who do not live in Australia will be able to receive your treatments in the future? The MV facial technique and style of touch is not suited to all beauty therapists, which is why I now hand pick who I train. Currently I have therapists in Australia and New Zealand but I will be training a select few therapists in London later this year. 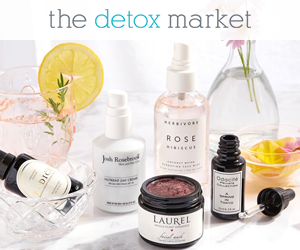 MV Skincare has generously provided one of their Travel Essentials Trio for this giveaway, (valued at $144), which includes three products from the line that are suited for all skin types: the Gentle Cream Cleanser (a favorite of mine), the Rose Mist, and the Pure Jojoba Oil. The set comes in an organic cotton traveling bag that also includes a muslin cloth, so you can conveniently carry your entire skincare routine with you. In order to get your chance to win this contest you will have to follow the rules listed below. The giveaway is open internationally and the winner will be announced on my Facebook page on April 11th. Do not miss this opportunity!